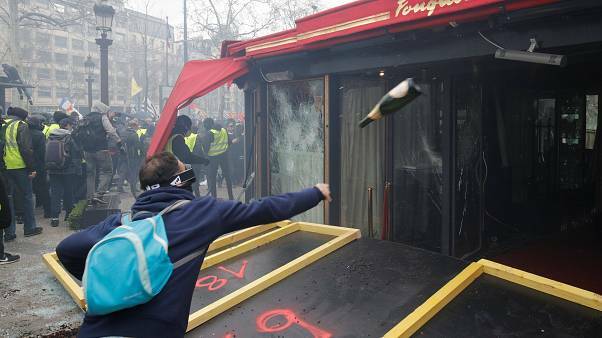 As the "gilets jaunes" (yellow vests) movement entered its 13th week of action, protesters clashed with police in Paris. 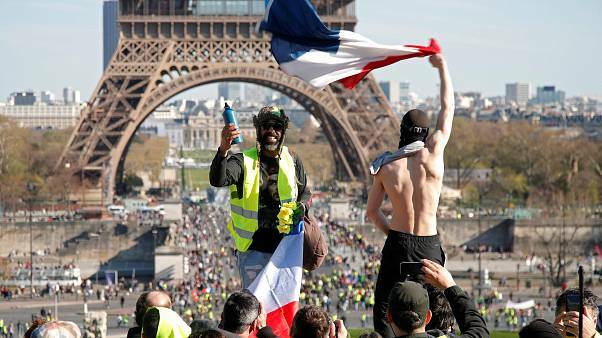 "Gilet jaune” (yellow vest) protesters took to the streets on Saturday for another weekend of anti-government action, as they paid homage to those injured by police in previous demonstrations.  The number matches those deployed at the height of the movement in mid-December. Raw Politics: Does France need a tougher law on protests? 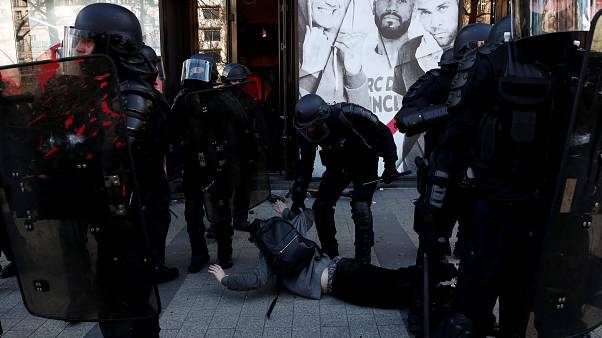 The French government is seeking to crack down on unauthorised protests with tougher sanctions. Marchers promise numbers will be up again once the Christmas holiday period is over. Numbers are down along with incidents of violence & destruction but there's shock at the arrest of one of the Yellow Vest leaders in Paris. Protesters from the "gilets jaunes" movement attempted to enter Euronews' headquarters in Lyon, France, on Saturday afternoon. Numbers are down around France and with the exception of a couple of hotspots, protests have been peaceful as the Christmas holiday season hits its stride. 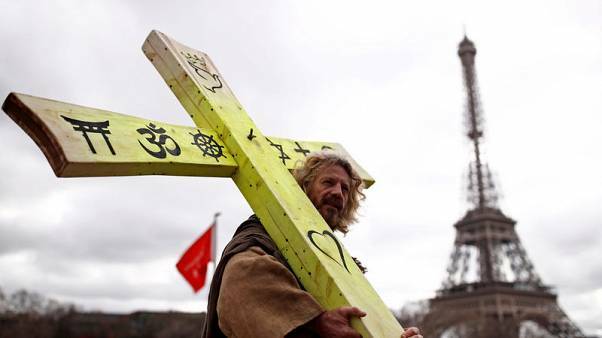 France's 'gilet jaune' (yellow vest) protesters gathered in Paris for what they called "act five" of their demonstrations against the government. They are upset over President Emmanuel Macron's handling of the "gilets jaunes" crisis. Hundreds of speed cameras in France have been put out of service since Gilets Jaunes protests began. 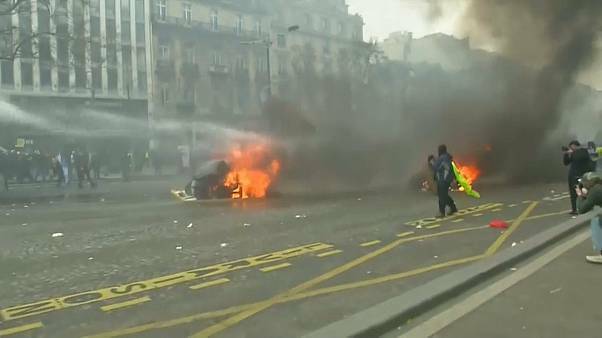 French President Emmanuel Macron is set to address the nation later today, after another weekend of violent protests. 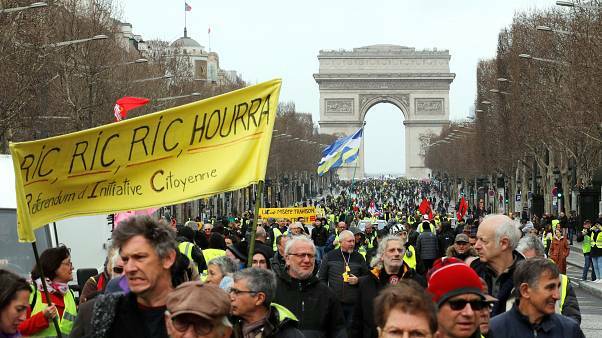 US President Donald Trump is among populist leaders and opponents of Macron to applaud the efforts of the Gilets Jaunes protesters.